It turns out that getting dropped from ones record label is actually a good thing for an artist's fans. Like Trinidad Jame$ before him, Chicago rapper Chief Keef is having a hugely prolific moment since being dropped from Interscope. He's yet to share the long-awaited Bang 3 project, but the rapper continues to treat his fans with new mixtapes. The next is called Crashing Computers, and he's shared the release's debut cut. "Where" is built on another stereotypically epic trap beat, complete with horns, synths and bells. 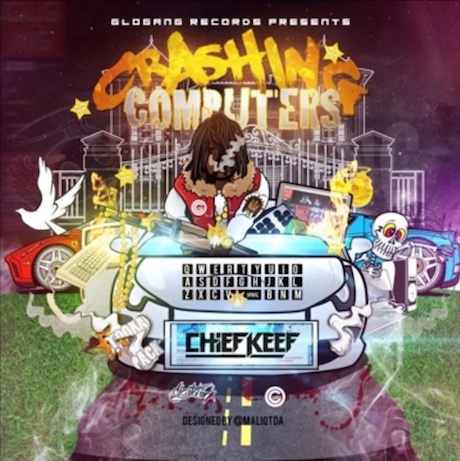 It's a solid enough beat that it never overstays its welcome over the song's four-minute runtime, setting the stage for Chief Keef to offer up some steady boasting. Listen to "Where" below. Crashing Computers is set to arrive on January 1. Prior to that, he'll release the B4: DA EP BFO B3 EP, along with, maybe, Bang 3.